Hyundai’s Chung Mong-Joon: „What is FIFA?“ Organized crime. Ich finde, die Rede von Hyundai-Milliardär Chung Mong-Joon heute auf einem Branchentreff in London sollte man mal im Manuskript nachlesen. Chung nannte Blatter einen Lügner, das sollte inzwischen ohnehin die Welt begriffen haben (nur viele Journalisten noch nicht), Chung kündigte Klagen gegen Blatter an usw. usf – die Fußballfamilie zerfleischt sich. Und das ist auch gut so. Mit der Veröffentlichung dieses Manuskripts ergreife ich für niemanden Partei, schlage mich auf keine Seite. Was aus dem Milliardär wird, der die FIFA führen will, ist mir schnurzegal. Doch seine Ausführungen kommen in wichtigen Punkten der Wahrheit zweifellos näher als die erneut verlogen-dämlich-weltfremden Äußerungen Blatters in einem Burda-Magazin – da haben seine Propaganda-Knechte wie der komische Herr Stöhlker, dessen geistiger Dünnpfiff durch viele Medien wabert, wieder ganze Arbeit geleistet. Chung erwähnt viel interessante Punkte. Das zu lesen und zu durchdenken, macht gewiss nicht dümmer. Macht übrigens gerade weltweit Schlagzeilen – zurecht. Ich habe Chung lange nicht mehr gesprochen. 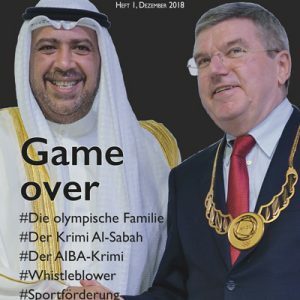 Zum letzten Mal müsste das ausgerechnet in Doha gewesen sein, kurz bevor er von Prinz Ali besiegt wurde, der wiederum von Blatter und Scheich Ahmad unterstützt worden war und jetzt ja selbst wieder FIFA-Präsident werden will, nach einem vergeblichen Anlauf. 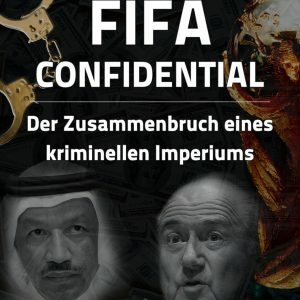 „FIFA family at war“, so hieß schon mal ein Buch aus dem Jahr 2002, wenn ich mich recht erinnere, von John Sugden und Alan Tomlinson. 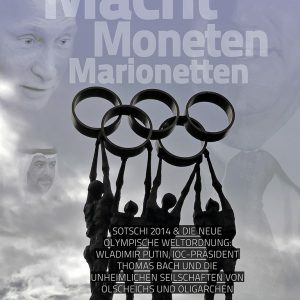 Während der Krieg damals einigermaßen glimpflich abging, geht es jetzt aber rasant dem Ende entgegen mit der FIFA, mit Blatter und vielen anderen Fußballgaunern. Good morning friends, ladies and gentlemen. My name is MJ Chung. I am running for FIFA President because I love football. I care. That is why I am here. I am not here because of money. I have been lucky in life. My family gave me a good life. If I am elected President, I don’t need a per diem. I don’t need a private jet to go to the grocery or to buy a new pair of shoes. I just need one 4-year term to rescue FIFA. I remember the time when I could walk down the street proudly wearing a FIFA blazer. Now, I will probably get laughed at or even attacked. FIFA has become a badge of shame. I will turn it back into a badge of pride. I will make people proud to wear a FIFA blazer again. FIFA is a sports NGO. However, while there is a lot of politicking at FIFA, there seems to be little sportsmanship. It means respect and concern for colleagues. At FIFA, however, money and power have blinded Mr. Blatter to the values of sportsmanship. Preposterously, Mr. Blatter and his associates are under the delusion that they are above human values and norms. They have lost their connection with the real world. They seem to live in a separate world. An NGO is a not-for-profit organization. However, FIFA has become a corrupt organization serving the interests of its top leaders. FIFA is no longer an NGO. It has become an organized crime. 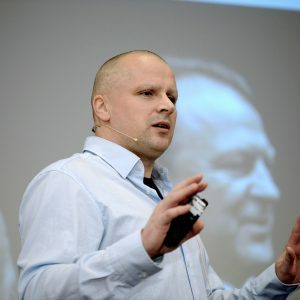 It is being investigated by US and Swiss authorities for racketeering and embezzlement. How did FIFA become so corrupt? That is because it lacks transparency. Like the dungeon deep underground in the FIFA headquarters, FIFA has become a secretive place. Very few people know how it works. In this day when you can find out the salary of a company president or a prime minster anytime online, we still don’t know what Mr. Blatter’s salary is. Back in 2002 at a FIFA ExCo meeting, I asked Blatter to report his salary and expenses but he refused. 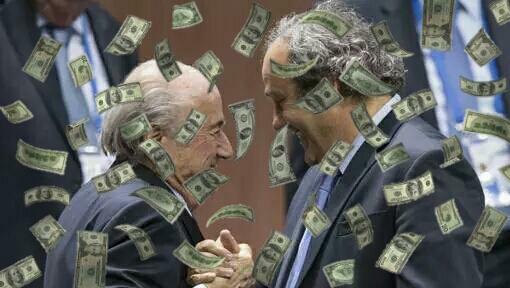 Naturally, for Mr. Blatter to get paid without ExCo approval is embezzlement. That is why I plan to sue Mr. Blatter on his embezzlement in court. In the VISA-MasterCard case, the judge said FIFA is not fit to use the fair play slogan. The judge used the word „lied“ 13 times in her verdict. Those lies cost FIFA $100 million. The VISA-MasterCard case should have been dealt as a criminal case, not a civil case. That was corruption. Why should FIFA pay the fine for Mr. Blatter and Mr. Valcke’s corruption? They should pay the fine from their own pockets. At the next ExCo meeting, I raised the issue. Mr. Blatter tried to freeze me out. I was the only ExCo member to do so. This is another case on which I will sue Mr. Blatter. The legal authorities should also investigate the relationship between VISA and Mr. Blatter. To have transparency, we need institutional framework. Everyone can be corrupted, including myself. That is only human. That is why you need a system of checks and balances. At FIFA, there is no institutionalization. All important and sensitive decisions are made secretly by Mr. Blatter and his cronies. We need a system of checks and balances between the President, the Executive Committee, the Congress and the judicial bodies. In order for FIFA’s judicial bodies, including the Ethics Committee, to be truly independent, an independent search committee must elect the chair of these bodies. We must also change the way FIFA Congress is held. It must become a forum where members could speak more freely. Right now, the FIFA Congress is held under a dim light with its agenda carried out in great haste. Delegates from 209 member associations travel all the way to Zurich for a Congress that only lasts for 3-4 hours. There is no debate. It always degenerates into a one-man-show. Transparency is impossible. 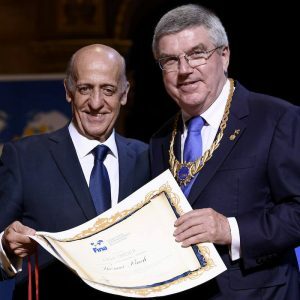 FIFA Congress should be held for at least 2 days, like the IOC congress. It must provide good opportunities to members to share ideas and become an integral part of FIFA governance. Mr. Blatter has corrupted FIFA by undermining the independence of confederations and national associations. As a paid president, every minute of his time belongs to FIFA and should be used for FIFA. 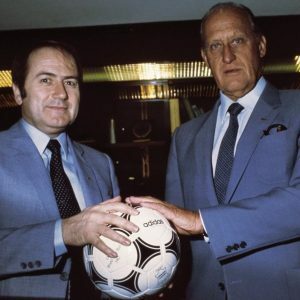 However, he has repeatedly meddled in confederation elections, during the UEFA presidential election of 2007 for Mr. Platini and in 2011 for Prince Ali. The European Parliament, the British government and some of FIFA’s sponsors have told Mr. Blatter to resign. I appreciate their efforts. But they are friends of football, not the voters. The voters of FIFA are the national associations. National associations should not remain bystanders. Everyone is calling for Mr. Blatter’s resignation because they know that he is the source of the problems. Whenever I speak to football leaders, most of them agree that Mr. Blatter is corrupt. But they never speak out. They rather hide behind the curtain of fear and contempt. When FIFA is in total meltdown and Mr. Blatter’s dynasty is coming to an end, still few dare to speak out against him. Let us look at the case of Harold Mayne-Nichols, the Chilean who led the inspection teams for the 2018 and 2022 World Cup bidding nations. Harold was banned by the Ethics Committee for seven years. This was because he had an email exchange with the head of a football camp in Qatar, asking if his son might be able to train there at his own expense. Nothing came of the exchange, but Mayne-Nichols was banned from football for 7 years. On the other hand, Michel Platini admittedly voted for Qatar and his son landed a job at a Qatar-owned firm as its chief executive. However, the Ethics Committee did not even start an investigation. This is a travesty of justice. When Mr. Harold Mayne-Nichols was viciously hit with a 7 year ban, not a single national association or a confederation stood up for him. This is not normal. This is not healthy. This is a disgrace. This is the culture of fear and contempt. Confederations and national associations must reclaim their independence. They should not hide behind the curtain of fear and contempt. Corruption has become such an integral part of FIFA that some fear that if we get rid of corruption, FIFA will become poorer. Some think that without Mr. Blatter’s corrupt ways, there would be less development funds for national associations. No it’s not true! The exact opposite is true. More transparency will make more development possible. This is what we need to change. I know how to deal with big companies and how to get the best deals. I will bring VISA back. I will bring Coca Cola back. Mr. Blatter and his cronies have been doing everything to sabotage my campaign. As maliciously leaked through the media by FIFA insiders, I am facing suspension by the Ethics Committee for alleged wrongdoings during the 2018 and 2022 World Cup bid process. The Ethics Committee is composed of two chambers. One is the Investigatory Chamber and the other is the Adjudicatory Chamber. As an accused, they all looked the same. However, I want to make clear that what I had been referring to as the Ethics Committee is actually the Investigatory Chamber. I am disappointed but not surprised. From the beginning, it was clear that the Investigatory Chamber was undertaking this so-called „investigation“ to prevent me from running for President of FIFA. What are these charges that I face? Unlike Mr. Blatter, Mr. Valcke and Mr. Platini, I am not facing any allegations of bribery, fraud, corruption, or conflict of interest. Contrary to the media speculation based on leaks, there is no „probe“ against charitable donations that I made to Haiti and Pakistan in the past. The main charges against me are „vote-trading“ and my „support“ for the Korean Bidding Committee for 2022 World Cup. The Ethics Committee eventually dropped the vote-trading charge. I am now being investigated for letters I sent to my fellow Executive Committee members explaining a proposal made by the Korean Bidding committee to raise a „Global Football Fund“ (GFF). The Investigatory Chamber claims my letters „appeared“ improper. For Executive Committee members to support the bid of their countries is only a time-honored tradition at FIFA. 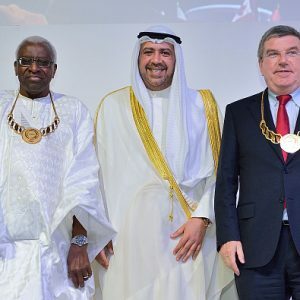 Moreover, there were no restrictions under the FIFA regulations that prohibited ExCo members from supporting their countries’ bid for the 2018 and 2022 Games, namely, Angel Maria Villar of Spain, Geoff Thompson of England, Michel D’Hooghe of Belgium, Mohamed Bin Hammam of Qatar, Junji Ogura of Japan, and Vitaly Mutko of Russia actively campaigned for their respective countries’ bid. There was nothing unusual about GFF. The GFF was perfectly in line with the football development projects that FIFA asked national bid teams to propose as part of their bid requirement. No money or personal favors were exchanged in relation to GFF and no such charges were made against me. If the scope of Football United fund was intended to „match FIFA’s current spend on football development,“ this would overwhelm the GFF by 10 times. In its bid for World Cup 2022, Qatar proposed „grassroots and talent-scouting programmes in Thailand and Nigeria,“ „support through football in 16 schools in Nepal and Pakistan,“ and „construction of 22 modular stadiums for countries in need,“ among other things. Yet the Investigatory Chamber of Ethics Committee has now asked for 15 years of sanction for this. Even issues that had been closed many years ago, have a way of being revived. According to a transcript that the Investigatory Chamber sent me, when they asked about such a letter, both Mr. Blatter and Mr. Valcke feigned „surprise.“ I did not know that they were suffering from memory-loss. When I spoke out against AFC President Salman’s illegal activities in mailing form letters in support of Platini, the Ad-hoc Electoral Committee also promptly issued a perfunctory „no evidence“ letter. 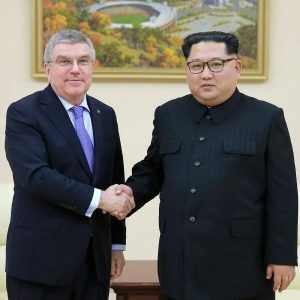 The Committee refused to even proceed with any fact finding, when the AFC itself was unable to deny that it had been sending the form letters. On the other hand, when a FIFA staff member leaked a document detailing Mr. Platini’s wrongdoings, the Investigatory Chamber had an investigation and the staff was promptly fired by FIFA. Is this justice? The Investigatory Chamber that seems as unwilling as incapable of holding anything confidential is accusing me of „breaching confidentiality.“ They then added more sanctions for allegedly „defaming“ FIFA Ethics Committee. FIFA touting „ethical attitude“ and „defamation“ while caught up in its own corruption scandal would be laughable, if the repercussions were not so serious. FIFA’s „defamation“ has been entirely self-inflicted. The independence of its Ethics Committee has been irreparably damaged by its own behavior over the years. If the Investigatory Chamber was truly independent, it should have banned Mr. Blatter for life for the ISL case 20 years ago. Both Mr. Blatter and Mr. Valcke should have been banned for life for their criminal manipulation of the VISA-MasterCard Case. I harbor no illusions about the Ethics Committee hearing. My request to call Mr. Blatter and Mr. Valcke as major witnesses was denied. The procedure has been flawed. The Investigatory Chamber’s main charge of „appearing to offer a benefit“ is based on 2012 regulation that did not even exist in 2010. The retroactive sanction now being attempted by the Ethics Committee is against fundamental precepts of law. To attack my credibility, the Investigatory Chamber relies on the testimonies of two major witnesses, Mr. Blatter and Mr. Valcke. However, it refused to provide the full transcripts of its interviews with them. These „credible“ witnesses are now facing criminal investigations by Swiss authorities. A fair hearing is fundamentally impossible when the Investigatory Chamber alleges that I defamed the Ethics Committee itself, but that it will be the judge in the case against me. As an accused, I am to be judged by the alleged victim of my alleged wrongdoing. No one should be allowed to be his or her own judge. The true danger is that they are not only sabotaging my candidacy. They are sabotaging FIFA’s election and FIFA itself. As preposterous as it may sound, there are media reports that Mr. Blatter plans to stay on as President once all the presidential candidates are forced out. If I am elected President of FIFA, this is what I will do for FIFA. Strengthen ‘checks & balances’ between the presidency, the Executive Committee and judicial bodies. Transform the Congress into an open forum. Impose term limit on the President. I will serve one term. Disclose the president’s salary, bonuses and expenses. 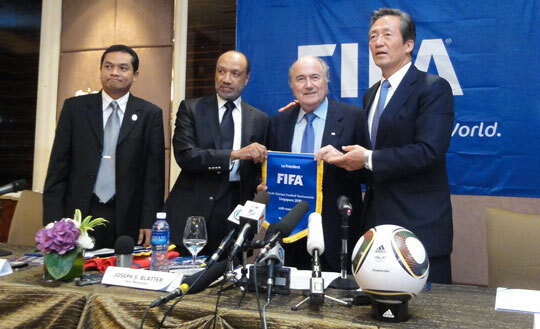 Increase the Financial Assistance Program (FAP) to national football associations. Elevate the Women’s World Cup to a new dimension by raising the prize money. Currently, the prize for the women’s World Cup accounts for only 5% of the men’s prize. We must raise this to 50%. Women’s World Cup can become a cash cow for FIFA. Let us move forward without hesitation. Finally, let me close by saying that the fact that I am the target of Mr. Blatter’s smear campaign is clearly the most powerful endorsement for my candidacy and the best proof that I am the person to lead FIFA’s reforms.